Expanding our borders to save more lives. Marin Humane was considered a trailblazer in the 1970s when we introduced progressive spay/neuter and humane education programs. Reducing the number of homeless animals entering our shelter coupled with a high adoption rate means that every adoptable animal who comes through our doors is given as much time as he or she needs to find a home. 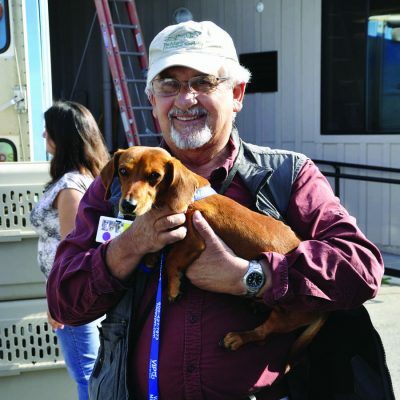 Since 2005, the Pen Pals of San Quentin program has been helping nonviolent, specially-selected inmates learn how to help dogs overcome medical and behavioral issues so they can be ready to find their forever homes.